We can see that we have .frm files and one InnoDB table space: ibdata1. We can also see some aria files. Now it’s time to upgrade to the official and original MySQL. We would like to use MySQL 8.0 of course, but the default version of MariaDB in CentOS is very old and MySQL 8.0 requires newer version of InnoDB files (undo logs, …). There for we will move first to the latest MySQL 5.7 and then to MySQL 8.0. Now we can stop properly the system and then upgrade the packages. When upgrading a MySQL system, I always recommend before stopping mysqldto set innodb_fast_shutdown to 0. This will force the dirty pages in the InnoDB Buffer Pool to be written to disk and bypass InnoDB Recovery from undo logs at the mysqld’s boot process. You should get some non fatal errors related on corrupted tables that mysql_upgradefixes. Please note that you should always use the latest MySQL Shell independently of your MySQL version. In this case I’m using MySQL 5.7.25 and MySQL Shell 8.0.15.
were detected. Please ensure that the reported issues are not significant before upgrading. 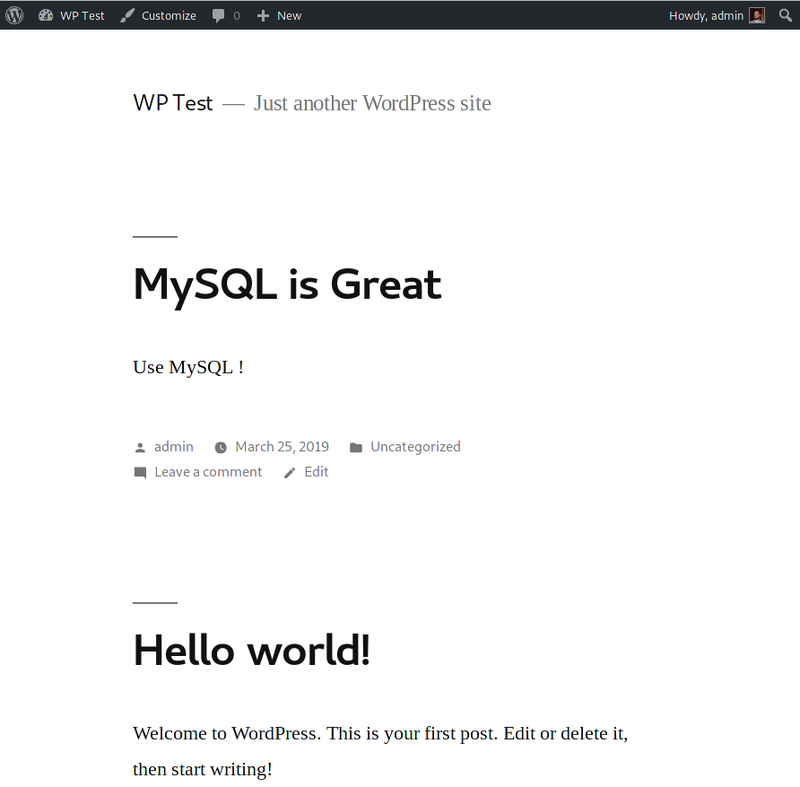 We can finally restart mysqld for the last time and enjoy again our WordPress site using MySQL 8.0!